Lieutenant Rene Goupil suffered a fatal heart attack shortly after finishing a mandatory two mile run while on duty. 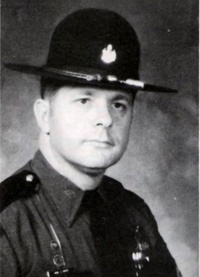 Lieutenant Goupil was a U.S Marine Corps veteran of the Vietnam war and had served with the Maine State Police for 20 years. He was survived by his wife and two children. Sir, as a fellow Marine and LEO I would just like to say on today, the 28th anniversary of your death thank you for your service and sacrifice-not just as a LEO but for our Country as well when you served with the USMC during the Vietnam War. And to your Family and loved ones, I wish to extend my deepest sympathy.